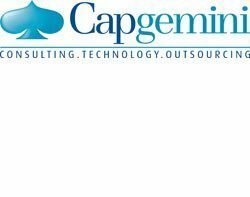 IT services supplier Capgemini will create 24 higher apprenticeships in software development for school leavers. Capgemini's apprenticeship scheme forms part of a larger initiative led by London mayor, Boris Johnson, which has created over 28,000 apprenticeships. Christine Hodgson, UK chairman at Capgemini, said: "We are proud to be part of the mayor's London apprenticeship campaign by launching Capgemini's first higher apprentice programme in software development." Applicants will be recruited for a September 2011 start in London. Successful candidates will gain work experience as well as studying for a degree in computing & IT practice at the Open University and gaining a Higher National Diploma (HND) through training provider QA. Applicants must have three A-levels at grade C or above, including maths or science, as well as five GCSEs or an IT-related advanced apprenticeship. Applications can be made via Capgemini's website or through the National Apprenticeship service. Capgemini will also recruit apprentices throughout the year with an additional 10 apprenticeship places in the pipeline. "This is an extension of the apprenticeship scheme we established in 2008 and is the first time we have sought an alternative to IT graduates, which have traditionally been the requirement not only of our company, but the IT industry as a whole," said Christine Hodgson. "We expect to have a new generation of qualified developers and engineers who have been through the scheme working on some of our key clients," Hodgson added. Anita Tilly, HR director Capgemini, said investment in junior talent is crucial for the company to secure a future workforce. "We would be naïve to focus purely on IT graduates to hire in talent. We're broadening the opportunity to work for Capgemini and offering alternatives to going to university and student debt," said Anita Tilly. Tilly said the apprenticeship scheme was a response to student feedback about the lack of clear career paths to becoming a developer within the IT industry. Capgemini also aims to train its own in-house software developers rather than offshore those roles. Other companies such as IBM, Microsoft, BT, Visa Europe, Co-operative Group, British Gas and Sky have all introduced new IT apprenticeship schemes. Sky is recruiting 50 IT graduates to develop mobile- and web-based applications at its London-based software engineer training academy.